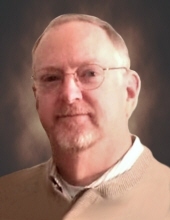 On Wednesday, March 27, 2019, Kevin Paul Battjes, loving husband, friend, and father of three children, passed away at the age of 63. Kevin was born on October 22, 1955 to his parents, Martin and Evelyn Battjes in Kalamazoo, Michigan. He graduated from Portage Central Schools and went on to study Chemistry at Western Michigan University, where he met his wife Joyce (Pippin) of 41 years. He earned his Master’s in Chemistry from Central Michigan University while working as a chemist at Michigan Molecular Institute. He continued working with Impact Analytical before retiring in 2015 and starting his own consulting business. Kevin and Joyce were married on December 10, 1977. Together they raised three children, Jeremy, Daniel, and Sarah. Kevin was a long-time member of St. John’s Lutheran Church where he served as an elder and chairperson of the Board of Trustees and Compensation Committee. Behind the scenes Kevin was involved in countless youth events, school functions, and church meals serving the community alongside his wife with the members of St. John’s. Kevin had a great love for the water and a relentless commitment to his family. Kevin and Joyce shared memorable adventures while travelling the Great Lakes with friends at the Bay City Yacht Club. During colder months he enjoyed woodworking and time spent ice fishing with friends. Beyond all of his commitments Kevin was a devoted husband, father and grandfather who dedicated himself to caring for his family while spoiling his grandchildren with trips to the ice cream shop. Kevin is survived by his wife, Joyce; son Jeremy and wife Nicole (Stendel) with children Andrew (8) and twins Alexandra and Colin (5) in Arkansas; son Daniel and wife Stacie (Selich) with son Lukas (5) in North Carolina; daughter Sarah in Grand Rapids; sister Cindy and husband Verne Mills; sister Donna and husband Glen Bumgardner; niece Becky (Bumgardner) and husband Michael King and family; brother-in-law Mark Pippin and wife Penny with extended loving family in Illinois. Kevin was preceded in death by his parents, Martin and Evelyn Battjes and his in-laws Ross and Marjory Pippin. Funeral service will be held at 11:00 a.m. on Tuesday, April 2nd at St. John’s Lutheran Church, 505 East Carpenter Street. Pastors Daniel Kempin and Josh Parsons will officiate, immediately followed by graveside committal service at City of Midland Municipal Cemetery. Kevin’s family will receive friends at Ware Smith Woolever Funeral Home, 1200 West Wheeler Street, on Monday, April 1st from 4:00 -7:00 p.m., and at the church on Tuesday from 10:00 a.m. until time of the service. Those planning an expression of sympathy are asked to consider St. John’s Lutheran Church or Midland County Foster Closet. To plant a tree in memory of Kevin Paul Battjes, please visit our Tribute Store. "Email Address" would like to share the life celebration of Kevin Paul Battjes. Click on the "link" to go to share a favorite memory or leave a condolence message for the family.